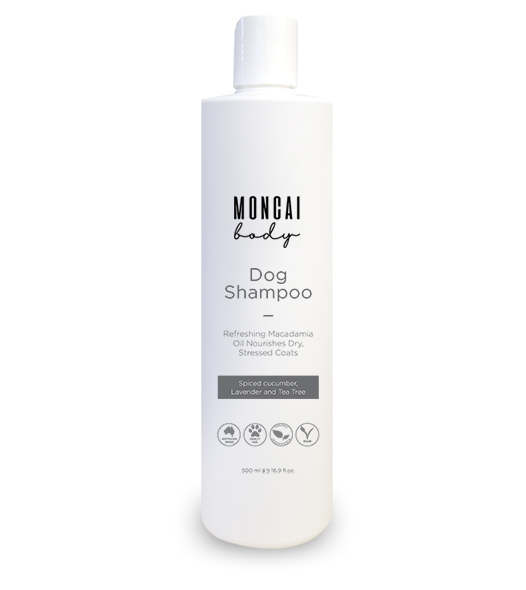 Our Dog Shampoo is an effective shampoo and conditioner for your dog. The natural blend of Macadamia Oil with vanilla fights germs and leaves your pet with a soft and fresh smelling coat. Go on, treat your pet to an indulgent shampoo. Infused with Spiced cucumber, Lavender and Tea Tree. Each bottle is hand made and manufactured from Australian sourced ingredients.